Louis Curtiss is probably our most famous and interesting local architect, and he is mentioned on this forum occasionally in discussion of various buildings. He is credited with creating and building in 1909 the first building in the United States to use a glass curtain wall, our Boley Building at 12th and Walnut, which was a major architectural innovation at the time. He's also known as a the architect of the Folly Theater, done while partnered with Frederick Gunn. Curtiss designed a lot of other buildings though, and he developed a style all his own over time. This thread is devoted to the illustration and discussion of Louis Curtiss and his buildings. If you live in Kansas City, and are interested in development and architecture, it is helpful to be familiar with his work. Several of his buildings remain, and many have been demolished. This will help you know and find the ones that are left, and where the demolished ones were located. More information can be found on Curtiss in the book by Wilma Sandy and Larry K. Hancks, Stalking Louis Curtiss, available at the Kansas City Library. His papers are at the University of Kansas in Lawrence. Louis Singleton Curtiss born on July 1, 1865 in Belleville, Ontario. 1884 - Curtiss reportedly enrolled in engineering at the University of Toronto and studied at the Ecole des Beaux-Arts in Paris. 1887 - Curtiss arrives in Kansas City. He becomes one of the charter members of the Kansas City Architectural Sketch Club. 1888 - Curtiss employed by architect Adriance Van Brunt as a draftsman. - Becomes partner with Frederick C. Gunn in Gunn & Curtiss. Curtiss also becomes assistant to the Kansas City Superintendent of Buildings (1890-91). Designs pioneering caissons for the Second City Hall Building (Simeon Chamberlain, supervising architect) at 5th and Main. Building demolished. - Designs Gage County Courthouse in Beatrice, Nebraska. First major building. Building remains. 1891 - Designs Henry County Courthouse (completed 1893) in Clinton, MO. Building remains. 1892 - Designs the Virginia Hotel at 11th and Washington, Kansas City. Building remains. - Designs Missouri State Building for the Chicago World's Fair. Demolished. - Designs Progress Club, 1051 Washington, Kansas City. Building remains. 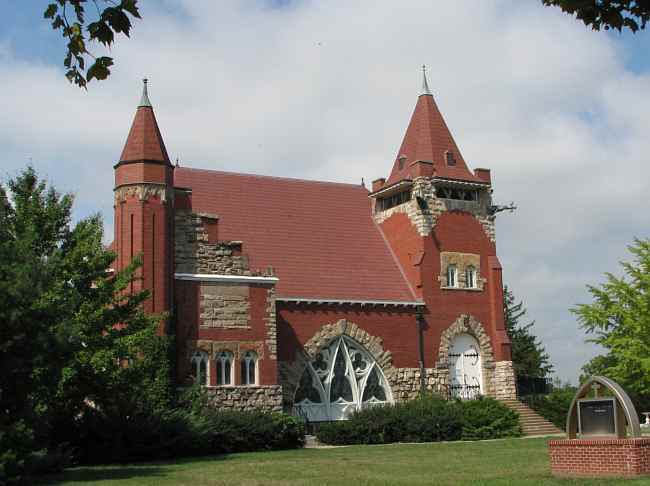 - Designs Immanuel Church at the National Home for Disabled Soldiers in Leavenworth, KS. Building remains. - Designs Tarrant County Courthouse, Weatherford and Houston, Ft. Worth, TX. Building remains. - Designs first of several alterations to Oak Hall, home of William Rockhill Nelson. Demolished. 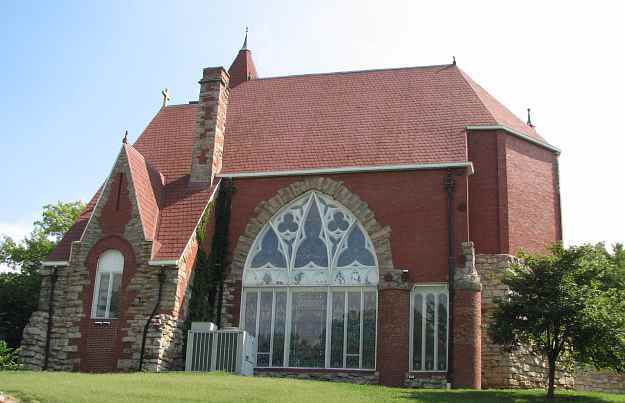 - Designs St. Patrick's Catholic Church in Emerald, KS. Building remains. - Designs Cabell County Courthouse in Huntington, West Virginia. Building remains. - Curtiss spends seven months studying at the Ecole des Beaux-Arts in Paris. - Designs a salon entry for the Palais de Justice in Paris. - Designs a submittal for the Kansas City Star for the Wayside Inn , 16th and Grand, in Kansas City, MO. Building Demolished. - Designs the Rock Island County Courthouse, in Rock Island, IL. Building remains. - Designs the Sacred Heart Catholic Church in Kansas City, MO. Building remains. - Submits a design for Convention Hall in Kansas City, MO. Unbuilt. - Curtiss spends three months in Europe undertaking research for the Baltimore Hotel project in Kansas City. - Designs the first phase of the Baltimore Hotel for the Thomas Corrigan estate. It will be the first of five commissions, and four additional alterations for the hotel. Building demolished in 1939. - Designed the William A. Rule residence in Kansas City, MO, known as Oaklawn. Demolished. - The firm of Gunn & Curtiss is dissolved. - Designed the Standard Theatre at 12th and Central in Kansas City, MO. AKA as the Century and Folly Burlesque. Building remains. - Designed the Century Hotel at 304-310 W. 12th. 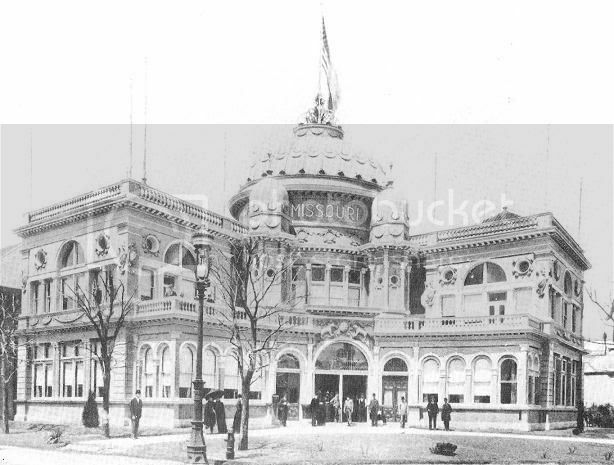 The hotel was attached to the Standard Theatre (Folly). The song, The 12th Street Rag, would be performed here for the first time when the hotel was called The Edwards Hotel. Demolished. - Designed the T.W. Johnson residence at St. John & Bales in Kansas City, MO. Thought to be the house at 3433 St. John. - Designed a residence for Mrs. Beekman, no location given. - Designed an office building for Flavel Tiffany, no location given. - Designed an office building for Thomas Swope at 1101 Grand in Kansas City that has been demolished. Robert Keith Furniture would occupy the site. Would be the present location of the Professional Building. - Designed first addition for Baltimore Hotel added two additional floors to the six-story building. - Designed the Willis Wood Theatre at 11th and Baltimore. It burned in 1917 and was not rebuilt. The Kansas City Athletic Club was built on the site, and later became the Continental Hotel (aka Hotel Kansas City). The building remains as the Mark Twain Building. Demolished. - Designed the Jones Store building at 12th and Main. First building done in the Chicago Style. Demolished in 2006. - Designed "Clearmont" country home for William A. Rule in Grandview. Demolished. - Designed Peristyle Apartments for J. E. Halpin, 720 E. 9th Street, Kansas City, MO. Later became the Albany Hotel. Renaissance Revival. Demolished. Halpin was grandson of Thomas Corrigan, builder of the KC streetcar system and the Baltimore Hotel. - Designed Porte Haven residence, 414 Gladstone Blvd. in Kansas City. American Foursquare-style. House remains. - Designed William Rule residence (number 3), 4340 Oak, in Kansas City. 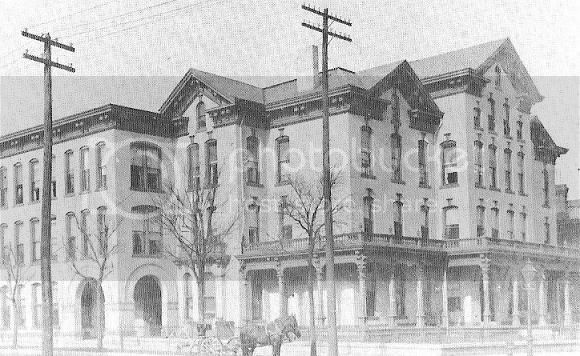 Later would be Bruner residence and called Mineral Hall. Romanesque, Art Nouveau. George Kessler did landscape design. House remains. - Designed second addition to the Baltimore Hotel. Renaissance Revival. Demolished. - Designed commercial building at 1114-16 McGee for Dean Bros. Realty Co. Chicago-style. Demolished. - Designed Robert Waddell residence, 3212 Central, Kansas City, MO. Romanesque/vernacular eclectic. House remains. - Designed Benjamin Schnierle residence, 549 Oakland, Kansas City, KS. Prairie-style. House remains. - Designed Midland Valley Railroad Depot, Tulsa, OK Demolished. First Curtiss railroad station design. - Designed David Mulvane residence, 1035 Van Buren, Topeka, KS. Demolished. - Designed addition for Mineral Hall for Roland Bruner, 4340 Oak, Kansas City, MO. House remains. - Designed the Argyle Building, 306 E. 12th, Kansas City, MO Curtiss designed first four floors only. Renaissance Revival. Building remains. Undergoing renovation. - Curtiss exposed to smallpox and endured three-month confinement. - Designed the El Bisonte Hotel in Hutchinson, KS. Tudor Revival, Arts & Crafts. Demolished. - Designed the Clay County State Bank in Excelsior Springs, MO. Neoclassical Revival, Louis Curtiss-style. Building remains. - Designed second commercial building at 1105 McGee for Dean Bros. Realty Co in Kansas City. Louis Curtiss-style. Demolished. - Designed Hugh Matthews residence, 1014 W. 39th, Kansas City, MO. Colonial Revival. - Designed Harvey House and Hotel, Emporia, KS. Renaissance Revival. - Designed Santa Fe Depot and Sequoyah Hotel, Syracruse, KS. Louis Curtiss-style. Demolished. 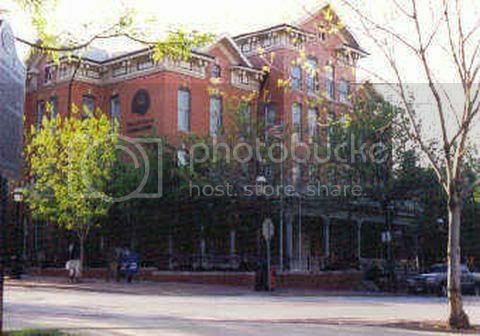 - Designed Harvey House and Hotel in Wellington, KS, Dutch Colonial Revival, Eclectic. - Designed third addition for the Baltimore Hotel. Renaissance Revival. Demolished. - Designed Ararat Temple, Admiral Boulevard and Vine, Kansas City, MO. Egyptian Revival. Unbuilt. - Designed renovations for Pepper Building at 9th and Locust (aka Studio Building) in Kansas City. Demolished. - Designed the Boley Clothing Co. Building, 1124-1130 Walnut, Kansas City, MO. Louis Curtiss-style. Building remains. Undergoing renovation. This terra cotta and glass building is a significant structure in that it was the first glass and metal wall building in the United States. - Designed Curtiss Studio Building, 1118-1120 McGee, Kansas City, MO. Louis Curtiss-style. Second building with a glass curtain wall. Building remains. Mostly renovated. - Frederick McIlvain leaves Curtiss' employ to form his partnership with Frank Jackson. Several McIlvain and Jackson designs have been attributed mistakenly to Curtiss. They include the Elms Hotel in Excelsior Springs and a commercial building at 3240 Main in Kansas City. - Designed Frank Brumback residence, 500 E. 36th St. Kansas City, MO. Colonial Revival. Home remains. - Designed El Ortiz Hotel for Fred Harvey, Lamy, NM. Pueblo-style. Demolished. - Submitted design for addition to the Argyle Building, 306 East 12th St., Kansas City, MO. Renaissance Revival. The commission was won by another firm though, and the Curtiss addition unbuilt. Building remains. Undergoing renovation. - Designed Dora B. Webster house at 3751 Washington. Demolished. - Designed commercial building for J.F. Halpin and Moore on the NW corner of 12th and McGee adjacent to the Empress Theatre. A sensitive design that adapted well to the Empress design by the Boller Brothers. Legend has it that Curtiss had a door constructed between the Curtiss Studio building and the Empress Theater so he could enter to attend performances there. Louis Curtiss-style. Demolished for Traders Bank parking garage. J.F. Halpin was the grandson of Bernard Corrigan. - Designed commercial building for Harp & Wilkins in Plainview, Texas. Style unknown. Status unknown. - Designed Mrs. S.M. French residence in Weiser, Idaho. Arts and Crafts. French was Curtiss' niece and the design was a wedding present. - Designed El Tovar Hotel addition at the Grand Canyon in Arizona. Building remains. Note: I stayed at the El Tovar Hotel in the 1980s to attend the wedding of a friend. Wonderful old building. Western Arts and Crafts Lodge. - Designed Santa Fe Depot, Lubbock, TX, Louis Curtiss-style. Building burned. Demolished. - Designed Santa Fe Depot, Post, TX, Louis Curtiss-style. Building remains. - Designed Santa Fe Depot, Synder, TX, Louis Curtiss-style. - Designed Santa Fe Depot, Harvey House and Hotel, Sweetwater, TX, Louis Curtiss-style. Demolished. Curtiss submitted two different designs for this project. One was built, the other unbuilt was more substantial. - Designed Leo J. Stewart residence porch addition at 703 Olive, Kansas City MO. Louis Curtiss-style. Demolished. - Designed Fred Harvey garage, 3617 Oak, Kansas City. Demolished. - Designed Ideal Clothing Company building, 624 Olive. St. Louis. Louis Curtiss-style. Building remains. AKA Gill Building. - Designed Century Hotel addition, 304-310 W. 12th St., Kansas City. Renaissance Revival. Demolished. - Designed Cotter Hotel, SE corner of 12th and Holmes, Kansas City. Renaissance Revival. Demolished. AKA Marquette Hotel. 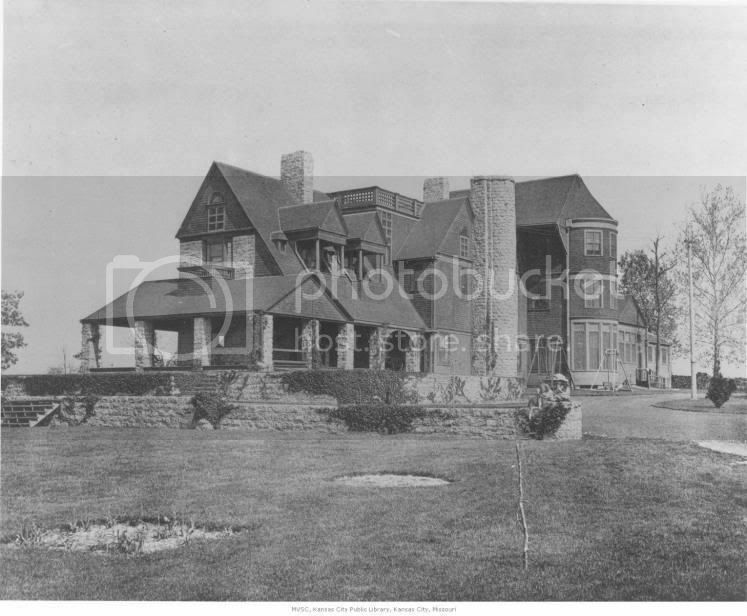 - Designed Mrs. Emmett Gamble residence, Manheim near 39th Street, Kansas City, MO. Arts & Crafts. - Designed Clarence Remely residence, 4042 Baltimore, Kansas City, MO. Demolished. - Designed Young Women's Christian Association Building, 1020-24 McGee, Kansas City, MO. Renaissance Revival. Demolished. Very similar in appearance to the Argyle Building. - Designed Kansas City Star garages, 1712-1714 McGee, Kansas City, MO. Demolished. - Designed Union Terminal rail depot in Joplin, MO, 1st and Main. Louis Curtiss-style, Prairie-style. Building remains. Empty, awaiting renovation. - Designed Union Terminal, 701 E. Douglas, Wichita, KS. Beaux-Arts Classical, Louis Curtiss-style. Building remains. Kansas City, MO. Prairie-style; Louis Curtiss-style. House remains. - Designed Crane Company stables, 1234 Jefferson, Kansas City, MO. Louis Curtiss-style. Demolished. - Designed flats for Fred Canham & Brothers., 1212-1218 Olive, Kansas City, MO. Demolished. - Designed six houses for William Rockhurst Nelson in the Rockhill District. Now part of National Historic District. - Designed James O'Riley Garage, Kansas City, MO. Location unknown. Status unknown. - Designed Casa Ricardo Hotel, office building, depot, and worker quarters for St. Louis, Brownsville, and Mexico Railway (through Fred Harvey) in Kingsville, TX. Louis Curtiss-style, Prairie-style. Poured concrete structures. Demolished. - Designed addition for the Cotter Hotel, SE corner of 12th and Holmes, Kansas City, MO. Renaissance Revival. AKA Marquette Hotel. Demolished. - Designed Bernard Corrigan residence, 1200 W. 55th Street, Kansas City, MO. Prairie-style; Louis Curtiss-style. Art Nouveau elements. - Did building survey for Missouri and Kansas Telephone Company, 6th and Wyandotte, Kansas City, MO. Preparation for remodeling. Completion unknown. Demolished. - Designed unidentified rail depot I. Location unknown. Louis Curtiss style. Not known if built. - Designed unidentified rail depot II. Location unknown. Similar to Joplin Union Terminal. Not known if built. - Designed unidentified large rail depot III. Location unknown. Louis Curtiss-style. Not known if built. - Designed fourth addition to the Baltimore Hotel, 12th and Baltimore, Kansas City, MO. Renaissance Revival. Demolished. - Designed Norman Tromanhauser bungalow residence, 3603 W. Roanoke Dr, Kansas City, MO. Louis Curtiss-style. House remains. - Curtiss begins design work for Westheight Manor subdivision in Kansas City, Kansas. This would be his last major development project. - Designed Jesse Hoel residence, 2108 Washington Blvd., Kansas City, KS. Louis Curtiss-style. House remains and is in National Historic District. - Designed Westheight Manor entry markers at 18th and Washington in Kansas City, KS. Louis Curtiss-style. Markers remain. - Curtiss moves into apartment in Curtiss Studio building from residence at 59th and Troost. - Alienation of affection lawsuit filed against Curtiss by former friend, Roland Thomas, accusing Curtiss of an affair with Thomas' wife, Mona. - Designed garage residence addition for Joseph Heim at Corrigan-Sutherland mansion. Louis Curtiss-style. Building remains. Curtiss completed no projects during this period. Probably due to the lawsuit. - Designed William Rickel residence, 2000 Washington Blvd., Kansas City, KS. Louis Curtiss-style. House remains and is part of National Historic District. - Designs house in Westheight Manor in Kansas City, KS. Louis Curtiss-style. Location unknown. Presumed demolished. Photograph appeared in a 1921 real estate advertisement for Westheight Manor. - Alienation of affection suit dismissed. - Designed Harry Miller residence, 2204 Washington Blvd., Kansas City, KS. Louis Curtiss-style. House remains and is part of National Historic District. This property is said to have the most intact Curtiss interior remaining. - Designs James G. Rowell residence, 7323 Olive, Kansas City, MO. Louis Curtiss-style. - Designs Harry Winkler residence, 1915 Washington Blvd., Kansas City, KS. Louis Curtiss-style House remains and is part of National Historic District. - Designs Wookey residence, Toronto, Ontario, Canada. Louis Curtiss-style. This is Curtiss' last known design. It has an Asian appearance like something one would see in Japan. Louis Curtiss dies on June 24, 1924, at his drawing board in his apartment in the Curtiss Studio building on McGee in Kansas City, MO. Death appears from a hemorrhage or aneurysm. Buried in unmarked grave in Mt. Washington Cemetery in Kansas City. Last edited by FangKC on Wed Nov 14, 2007 4:00 pm, edited 1 time in total. "G. B. Gunn was then city engineer, S. E. Chamberlain was superintendent of buildings and Louis Curtiss his assistant. They were architects and they designed a foundation for the city hall that it was said at the time never had been used before. It was a system of steel caissons filled with vitrified brick and cement that would rest on bedrock. This plan was submitted to A. Van Brunt, an expert architect, and he approved it." The caissons are said to remain buried underground. Last edited by FangKC on Wed Nov 14, 2007 9:47 am, edited 1 time in total. The Gage County Courthouse in Beatrice, NE (1890). Building remains. Richardson Romanesque-style. What happened to the mast? The mast tower portion was removed in a remodel in 1969. Virginia Hotel (1892) Now the Heart of America United Way. Building remains. This is the oldest remaining structure in Kansas City that Curtiss designed. Curtiss took two existing buildings (circa 1870s) and connected them in a coherent, sensitive design. It appears that Curtiss took two identical 2-story Italianate houses, similar, or idential, to the one at 1020 Washington, and connected them with a central entrance and a wing on the back. If you compare the Virginia Hotel to 1020 Washington, the windows are the same and are the keystones atop the door and windows. The structures have similar porch structures and upper crest and roof lines. One can see on the brick pattern that the joined houses appear to have had additional floors added in the Curtiss alterations. Italianate/Richardson Romanesque. Now houses Heart of America United Way. Last edited by FangKC on Fri Nov 09, 2007 12:38 pm, edited 1 time in total. ^ Fang, do you have any older photos of that building? Hold on. I'm uploading it. The Progress Club is the oldest structure remaining in Kansas City that one of Curtiss' complete designs, and not an alteration or addition like the Virginia Hotel. Last edited by FangKC on Fri Nov 09, 2007 12:40 pm, edited 1 time in total. Last edited by FangKC on Thu Nov 08, 2007 7:13 pm, edited 1 time in total. 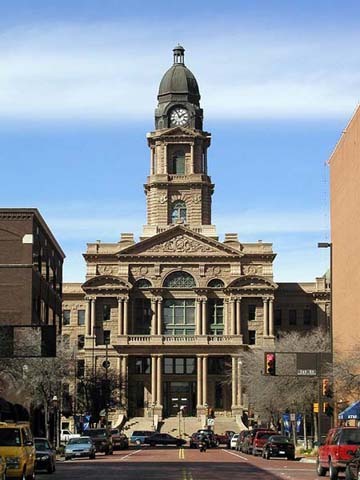 Tarrant County Courthouse (1895). Beaux-Arts Classical, Building remains. Why William Rockhill Nelson ordered in his will that this house should be demolished for the Nelson-Atkins Art Museum is beyond me. There was plenty of room to building the museum on the adjacent property. It was demolished in 1928. The original house in 1890 designed by Frederick E. Hill. Curtiss and Gunn designed several additions and alterations. Last edited by FangKC on Thu Nov 08, 2007 8:21 pm, edited 1 time in total. One of Curtiss' rare residential designs in 414 S. Gladstone Blvd. Built in 1902-03 for Porte Haven, VP of the Keystone Oil Company. Thoe home features (among other things) an unusual enclosed oak lower stair case with three very wide steps going to a large landing room with a built in bay-window seat. The architect's signature theme, incorporating circles of wood in the design can be seen on this staircase and other rooms in the house. The home was featured in the 1993 Scarritt Renaissance Historic Homes Tour. ...its a pretty cool house! Nowadays before they *GASP* tear down a beauiful old sturcture, they cannibalize it for parts and reclaim timber, brick, etc. Specifically, with the Nelson house (and what and IDIOT for having this torn down) did they reclaim anything out of it? Did the staircases, fireplaces, tiles, etc get removed before demolition? There are quite a few statues in the pictures too, are these now in the Nelson Atkins or elsewhere in KC? I don't know the answer to your question about Oak Hall. I would assume that all the art objects in Oak Hall ended up in the collection of the Nelson-Atkins though. If I would have been alive at the time and been able to lobby Nelson, I would have made a compelling argument that Oak Hall should have been preserved. I would also have advocated that he not have stated in his will that the Nelson-Atkins have been built there, but instead adhered to George Kessler's plan of having public buildings of this type built along Memorial Drive in Penn Valley Park.